I may have been disappointed in our busted May, but September more than made up for it! I always look forward to October for fall fun, but this year our September was amazing with all kinds of impromptu, as well as planned, outings. 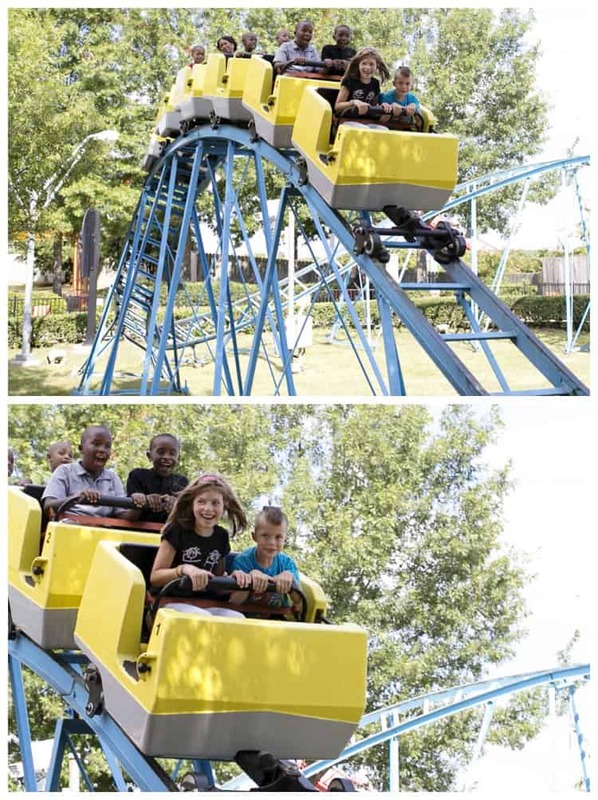 For birthdays this year, rather than presents, my parents and Grandmother bought our entire family season tickets to Carowinds amusement park for next season. I could not be more excited. The kids and I love an adventure, and we especially love adventures that we can do again and again. There is no rush to see it all or do it all in a day. We can go back as many times as we like and spend as long as we like. Our new passes came with one free fall visit this year, so we decided to squeeze one more adventure into September. Being hugely pregnant, I could only ride a few things this year. I am usually game for almost any ride. 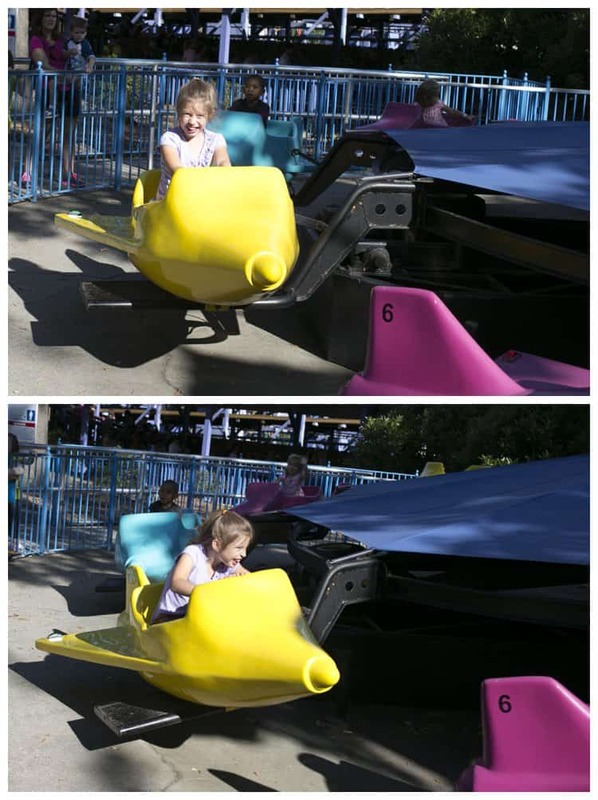 I warned Miriam that I wouldn’t be able to ride the big rides with her this time. 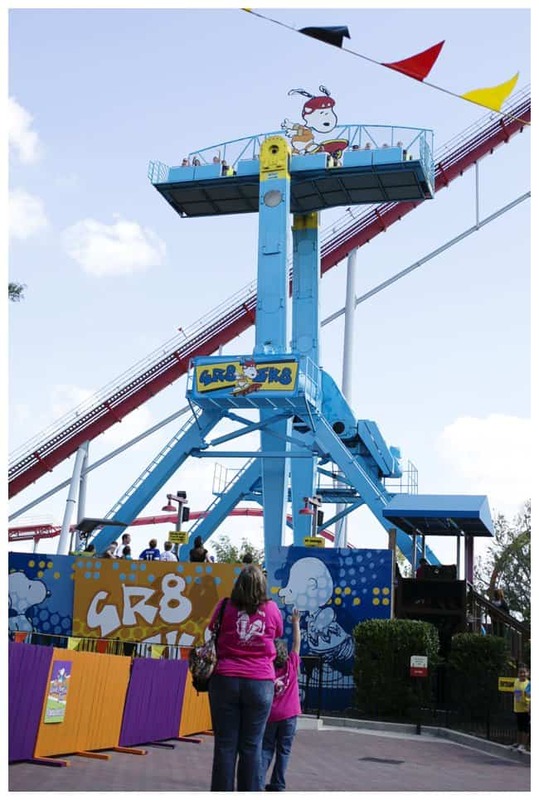 For this visit, we might need to stick to the kiddie area and save the big stuff for next summer when I can hand Baby Boy off to Daddy, who doesn’t enjoy rides. It turns out, that she did’t really need me! Miriam used to be my only adventurous rider, but this time Michael was ready to try any ride he was tall enough for! I was hesitant, not being able to ride with him the first few times, but he and Miriam ran straight into the line at this ride without looking back! After that Michael was really ready to try anything! He and Miriam rode 3 different roller coasters, all kinds of spinny stuff, and more! Anything he was tall enough for, they rode! 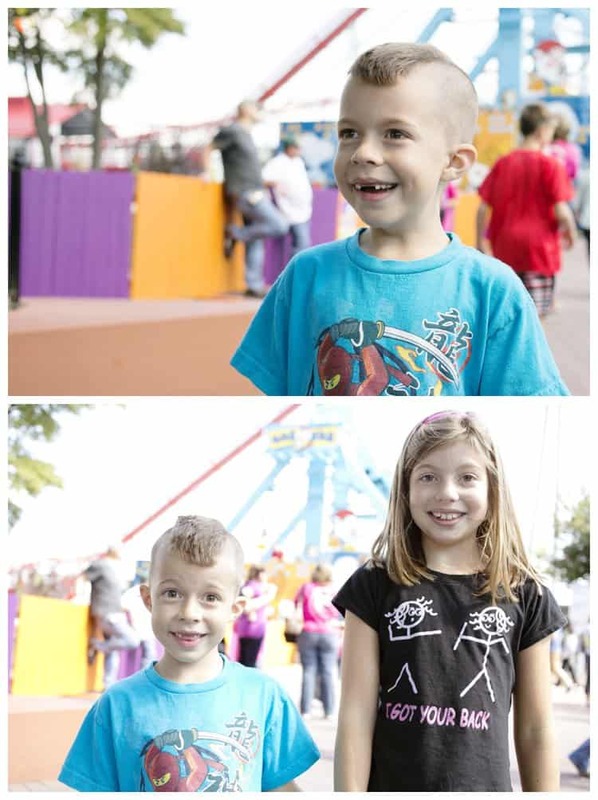 He hopes to be tall enough next summer to ride even more roller coasters– and then they really won’t need me at all! I was so glad Rob was with us for this visit. He pretty much followed Miriam and Michael from ride to ride, while the little girls, Rebekah and I rode things in the Kiddie Park. The lines for the big rides were longer, so while Miriam and Michael waited the little girls and I often rode 3 to 5 times on the little rides! 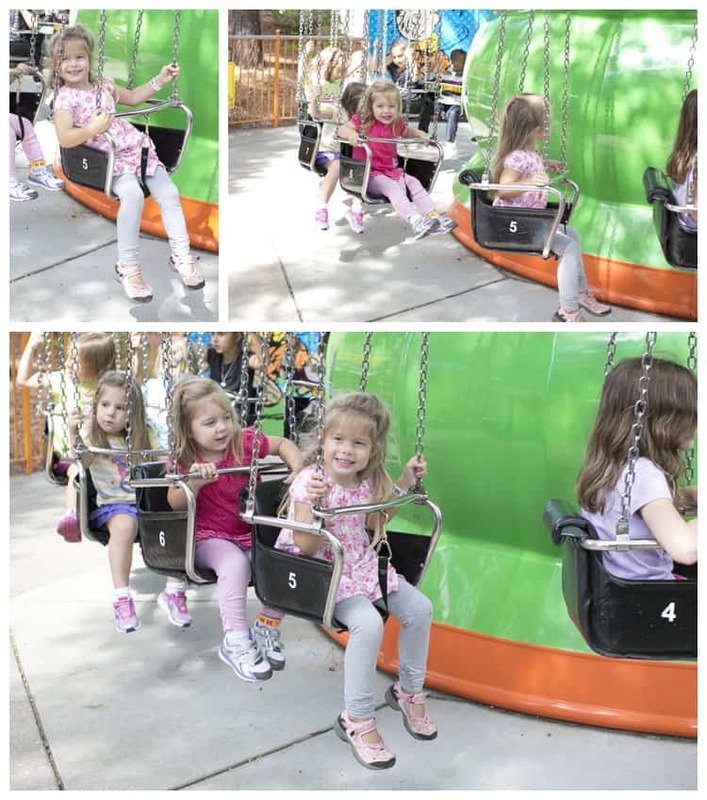 For the first ride of the day, Rebekah rode the swing ride and she did not like it one bit. 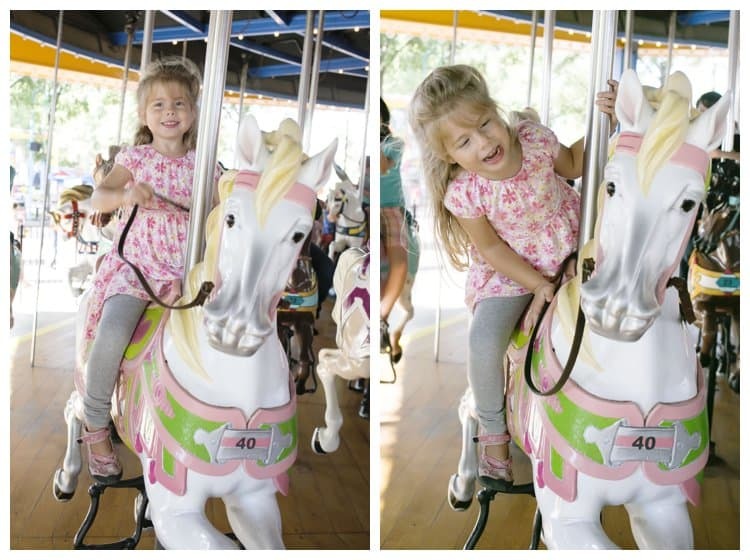 After that she was happy to stick to the slower rides in Kiddie Land. Don’t let this face fool you…this airplane ride moves about 0.5 miles an hour. But she was happy, and it was nice for me to have an extra big kid riding with the little girls. Rebekah and I took turns riding the boats with the little girls. Plus, she rode airplanes and other rides near Emily, so I didn’t have to worry about her. 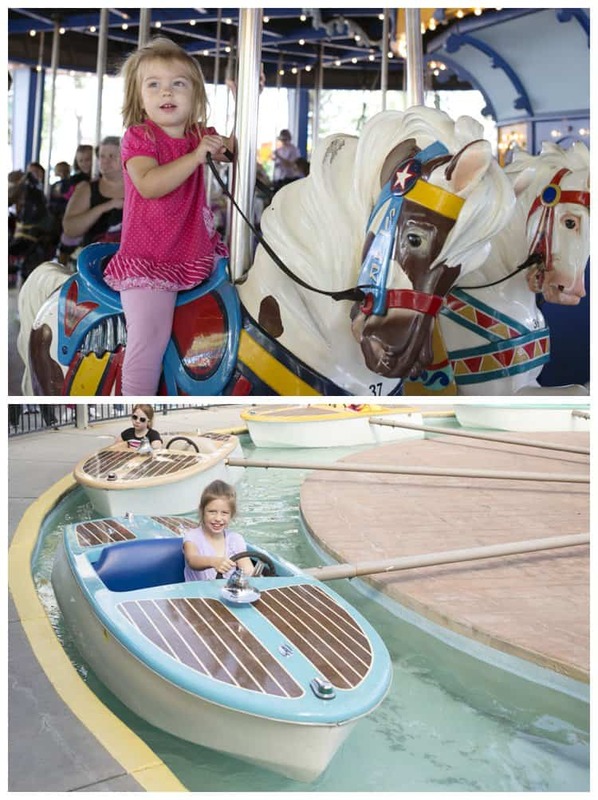 The little three girls would have been happy to stay on the carousel all day long. 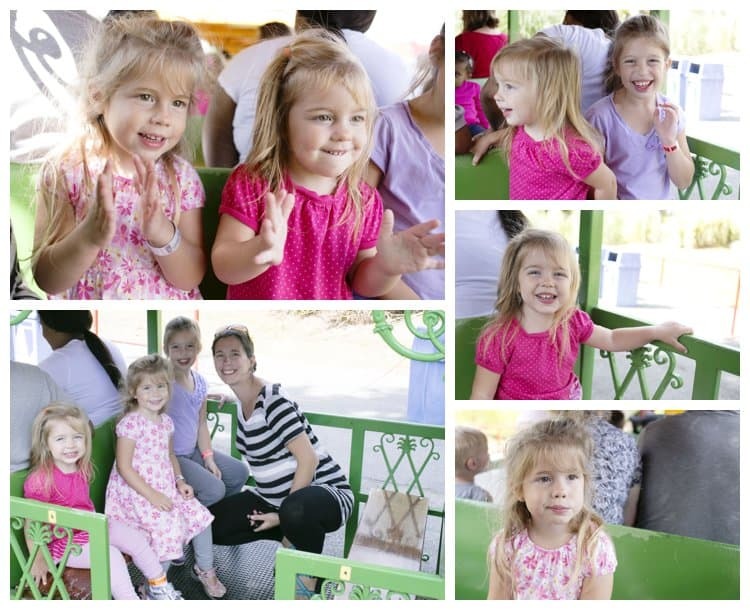 They named their horses, and talked to them the entire time each ride. 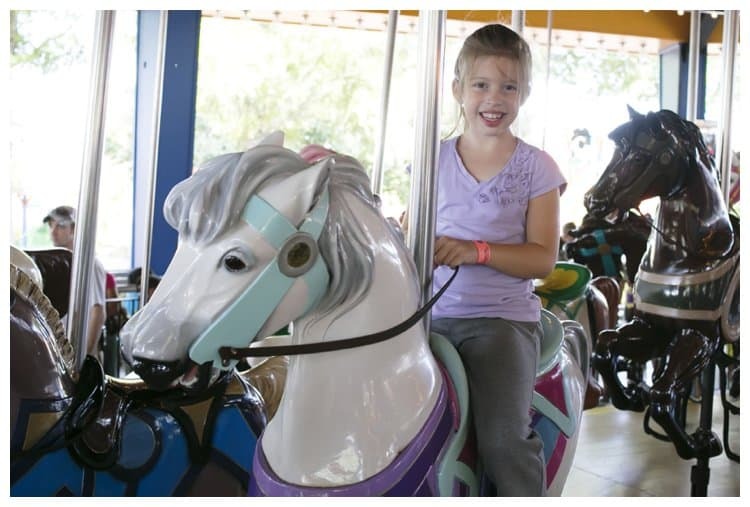 We basically rode the carousel twice, another ride once, carousel twice again for the majority of the day. We had such a wonderful day, and we can’t wait to spend all summer at Carowinds next year!